Jalen Beeks recorded a save during Wednesday's 9-1 win versus the White Sox as he allowed one run on four hits across three innings. He struck out three and did not issue a walk. 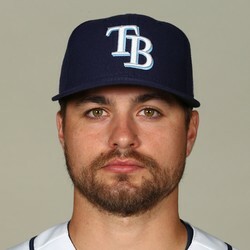 Beeks is off to a great start out of the bullpen this season with a 2.70 ERA, 1.30 WHIP and 9:2 K:BB. Beeks does not have much fantasy value though as he has been mostly used in long relief and to pitch after openers and does not get many opportunities for saves or holds.